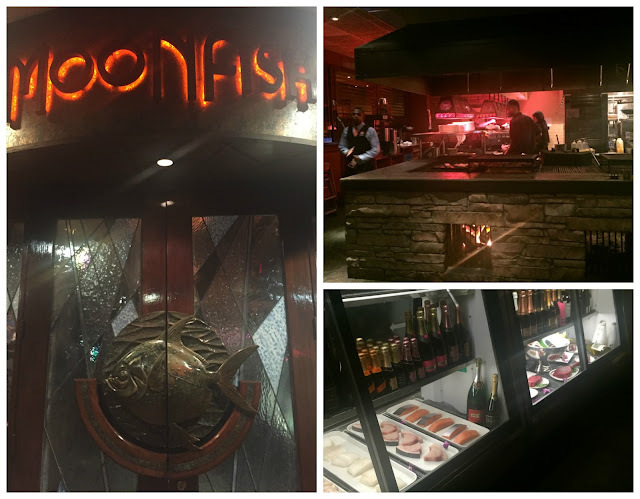 One of the reasons I can't keep my waistline trim is that I overindulge when I'm traveling for work and fun... and my recent work trip to Orlando turned out to be no different! My boss picked out a couple of really delicious restaurants during the week, and I didn't hesitate to sign on to go to both! The first one we tried was a little hike from the Orange County Convention Center where we were, but the meal was well worth the drive. Boca, located in an adorable little district in Winter Park, was amazing! Boca was my favorite meal of the entire week, with a true farm to fork concept that brought local farmers' goods to a wonderful meal. We had a bunch of appetizers, all delicious, but I only snapped a pic of some bone marrow because I didn't want to be too conspicuous being all Instagramm-y at a work dinner. But BONE MARROW, okay? Great. Yum. I also indulged in local drinks too, and the service and restaurant added to the total experience/ambience. I definitely feel like Boca had an upscale vibe for sure, not too hipster, which was refreshing as these kinds of concepts can go too far one way. While the menu likely changes seasonally, I was privileged to be able to choose the Honey Soy Braised Pork Belly as my main dish. It was one of the most delicious things I've eaten in a long time. It was served over ginger-infused bamboo rice and had cucumbers and kimchi too. The meat was fatty and tender. I really did end up cleaning my plate! One of my coworkers had some food allergies, so the chef came out to talk to him about what he might enjoy on the menu. I love seeing attention to details like that, rather than just having a server point out certain things. The chef was keenly interested in listening to what he enjoyed eating, to help customize if necessary. Once again, I missed photos of the appetizers, because I didn't want to be ridiculously blogger-y. 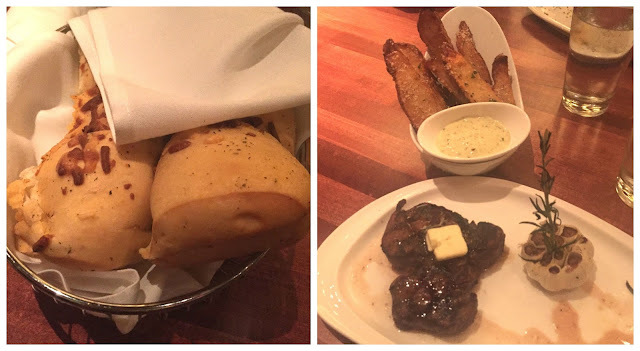 But I did snag a pic of the delicious bread, as well as my steak and truffle potato wedges. They were fried and crispy, very good! 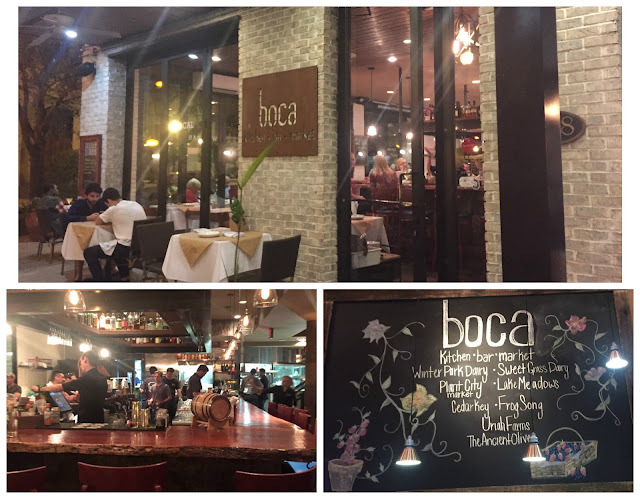 Overall, these were both noteworthy meals... but I highly recommend checking out Boca in Winter Park for a truly unforgettable one!